With the growth in Africa’s internet penetration and and mobile broadband subscriptions digital marketing is also gaining traction as an alternative advertising medium. However African nations face the challenge of not having enough digital agencies and experts to fulfil the increasing need for online marketing. This creates a opportunities for international agencies such as Pulicis buying South African Agency Synergize or international local partnerships such as Now Available Africa. This trend will continue and there is a need for African agencies and educational institutions adequate digital training for local talent to fill this growing sector. The introduction of Ecommerce sites in Africa will continue to grow in 2014 beyond the borders of the usual suspects Kenya, Nigeria and South Africa and will pick up speed in countries like Ghana, Ivory Coast and North Africa. Nigeria’s Jumia and kaymu have led the way expanding to Ghana where upstarts Tisu ( group discount site) and Zoobashop (online retail store) and Tonaton (free classifieds) are making headway. Investment players in the field – Africa Internet Holdings, Ringier, Rocket Internet, Naspers, Kinnevik. 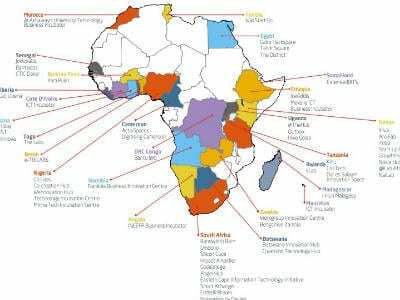 With over a hundred Tech hubs, Incubators and IT spaces in Africa, expect more to be open this year to facilitate to the growing tech start-up culture in Africa. These hubs are not only opening as incubators but more and more a businesses. Even community groups like blogging Ghana are crowfunding the building of Ghana’s first social media hub. Due to the lack of expansive fixed broadband network across Africa, 4G LTE networks are the inevitable competitors to fixed networks . With the improved speeds and stability provided by 4G networks 2014 should see good growth in internet penetration. With a 100 live LTE networks around the world, there are currently 10 countries with LTE networks in sub-Saharan Africa and 19 operators in total. LTE can be found in Angola, Mauritius, Namibia, Nigeria, SouthAfrica,Uganda, Zambia, Zimbabwe and most recently Ghana.